The Lady Vols are taking a drive up I-81 this Tuesday to Johnson City to face in-state rival ETSU. UT volleyball started 60 years ago, in 1958, when a team of women from Tennessee traveled to Johnson City to compete in a tournament held at ETSU. Tennessee is 28-6 all time vs the Buccaneers. Their first recorded meeting was in 1973. Their last meeting was a 3-1 loss for UT — the team’s first loss in the series since 1978. UT has no recorded loss to ETSU when playing in Johnson City. The Lady Vols are 16-1 vs the Southern Conference in the rally-scoring era. Against other schools from the state of Tennessee, UT is 138-29-4 all time. 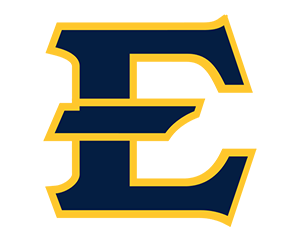 ETSU is playing the Vols three times in three different sports this week: volleyball on Tuesday, soccer on Thursday, and football on Saturday. A win over ETSU on Tuesday would mark the 900th win in program history. But there is one major caveat: the Tennessee record book is missing a lot of games. This is no secret. In the year-by-year results section, three of the five years from 1973 to 1977 explicitly say “records for the season are incomplete”. Also, if you look at the year-by-year coaching results page you’ll notice there are no records listed at all for any year between 1958 and 1972. Some of these missing matches are known. In a previous article, I wrote about those first missing 15 years and listed around 40 games the team played prior to 1972 — probably just a sliver of the actual matches they competed in. In a more recent year, the UT record book has the team 7-11-3 in 1977 with the “incomplete” note added. I have (also probably incomplete) results that have them around 18-19-5 that year. This isn’t meant to criticize the UT record book at all! (This site wouldn’t be here without it!) When the school started compiling it way back when, they rightly listed the results they had the best, most solid information on. It’s great to be able to celebrate milestones, to remember the past and look how far you’ve come. And to do that you need a set foundation of historical matches to base the numbers on. That’s what the record book provides. So please, let’s celebrate the 900th recorded win in school history, and keep in mind all the Lady Vols it represents and those that represented Tennessee before the count started as well. Notes from Tennessee and ETSU are online.